According to NAHB’s 2014 membership census, 22 percent of NAHB’s builder members are residential remodelers. 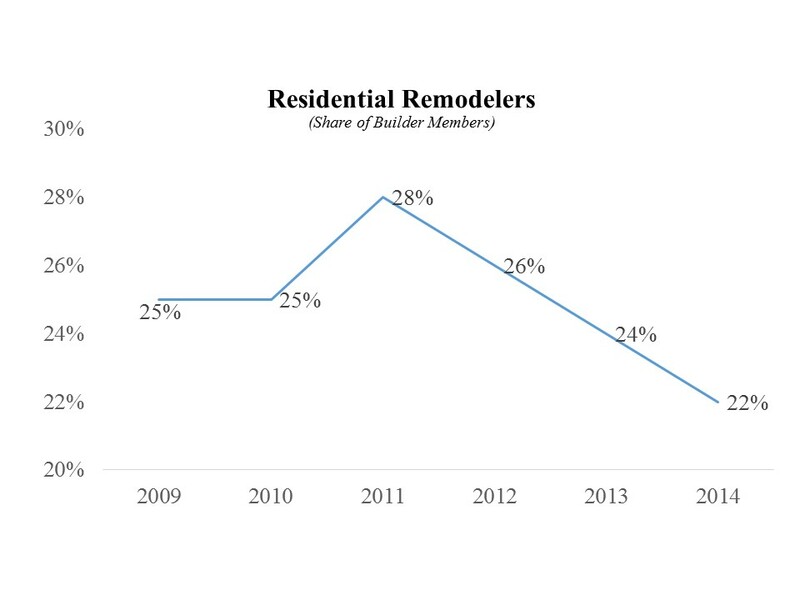 The share of members reporting residential remodeling as their primary activity peaked in 2011 and has been steadily declining over the past three years. In 2011, 28 percent of NAHB’s builder members were residential remodelers, compared to 26 percent in 2012, 24 percent in 2013, and 22 percent in 2014. In 2014, NAHB’s typical residential remodeler member had about $754,350 in total revenue, employed 4 people (3 construction and 1 non-construction), and started 1 housing unit (all medians). 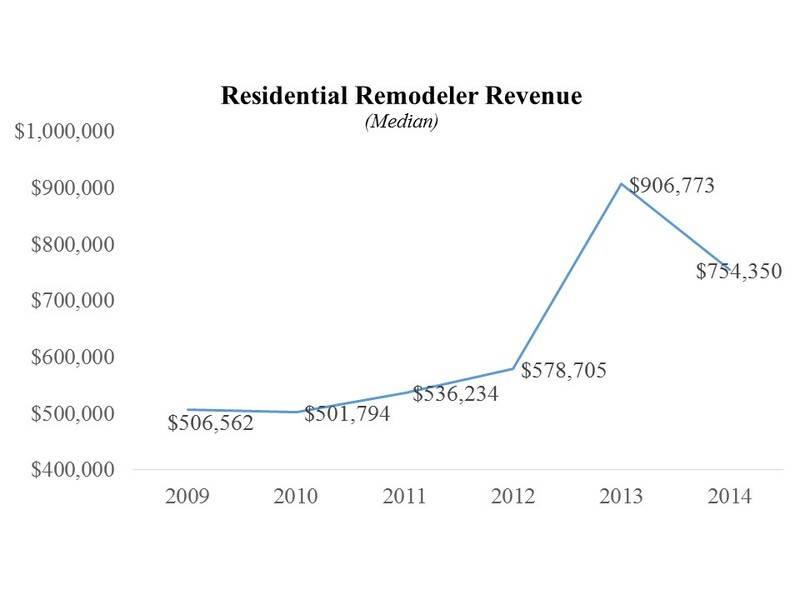 For the past 2 years, the residential remodeler’s revenue has been significantly higher than it was between 2009 and 2012. The median revenue increased steadily from $506,562 in 2009 to $578,705 in 2012, then spiked at $906,773 in 2013 and declined slightly to $754,350 in 2014. They have a median of 55 years of age. They have a median of 11 years of NAHB membership. 12 percent build age-restricted housing for people 55+. 47 percent have completed college or have an advanced degree. Please click here to learn more about NAHB’s members.